Long time coming. This is a cab I have wanted to add for a while and everytime I had one on the line, it got away, either by being crappy or by me just plain missing out. Not this one. I found this on the local craigslist and secured a sweet deal on it. The side art is immaculate on both sides, the CP looks brand new, the marquee is in stellar shape as well. It also plays amazingly well - sticks, buttoms, all crisp and clean, like the Perrier of arcade controls. The inside of this thing is immaculate, almost no dust. I think you could operate off it. 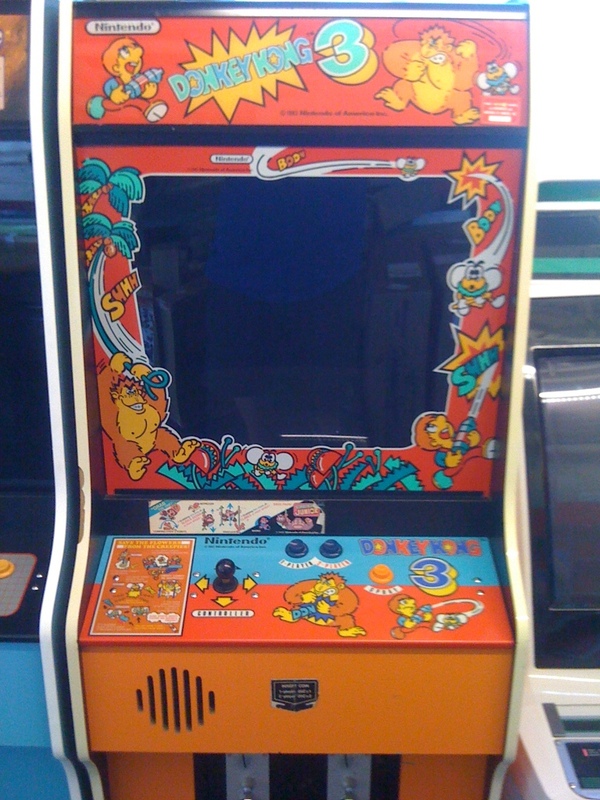 The bottom, which tend to get destroyed after a while on Nintendo cabs, is almost brand new looking. It's creepy how clean this thing is. It does have a small monitor issue with the horizontal coil, but I have a coil adjustment tool on its way. The t-molding is also cracked in a few places, so I'll order some of that as well at some point. 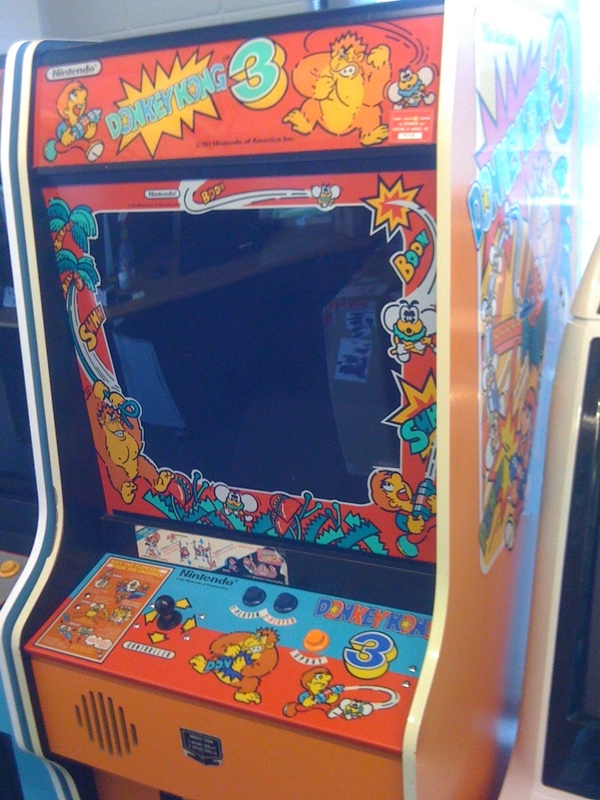 I bought this for two reasons: 1) I will be competing in the CAGDC Tournament at Richie Knucklez's arcade in NJ in September and choose this as one of the titles I can vote in and 2) I love this game. It's like a weird combination of Galaga and a platformer and once you get the hang of it, it plays super fluid and its very rewarding. It's a very fast paced game and really enjoyable, especially for shmups fans. It also has nothing to do with the general DK story lineas this game stars Stanley, a gardner and not Mario. Strange choice by Nintendo, but really, who cares who is in the game - its still awesome. I have knocked off a few games of around 300K and I hope to be able to marathon this for an hour for the tourney and feel pretty good at being able to do that.